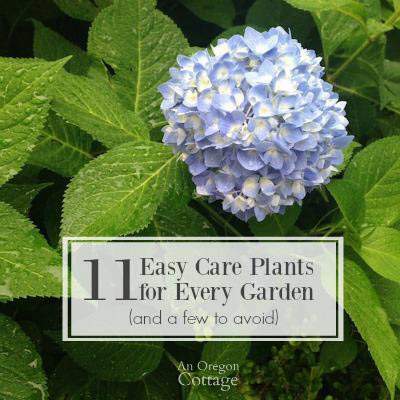 Sometimes gardening can feel like it a lot of work without too much benefit. I know I often feel that way in the fall when everything is dying off and there are a lot of leaves to be picked up. But this time of year is when I really enjoy gardening. Almost every new day bring more beautiful blooms in the garden to admire. 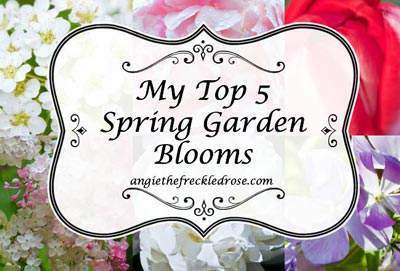 This week the Tuesdays in the Garden bloggers are sharing our favorite plants to grow and what’s in bloom in our gardens right now. Be sure to scroll all the way to the bottom find the links, making it easy to visit each one. In our area, it seems as if we skipped right over spring and headed right into summer. The middle two weeks of April brought us more than 5 days of mid to upper 80-degree weather. Way to hot, too soon for this cool weather, rain loving gal. But one of the benefits of all the warm sunshine pouring in, is the flowers have really come out. The city we live in is often referred to as the city of roses and in our garden, we have roses too. How could you not have roses in your garden when you live in a city called the city of roses? While I would like to take credit for our beautiful roses, the roses are really my husband’s part of the garden. He takes care of them and knows just what to do when to keep them growing strong. I fill in when he’s too busy but most of the time he’s the main rose caretaker in our home. We’ve been blessed with a couple of our roses coming into bloom. They are beautiful and smell so good too. Another favorite flower to grow in our garden is dwarf bleeding hearts. 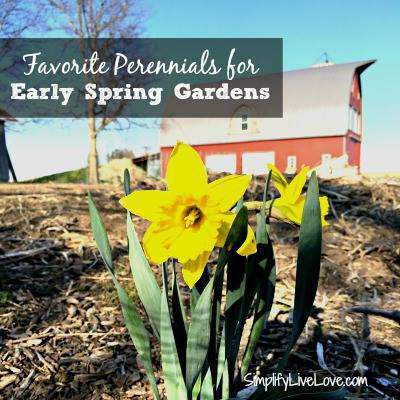 They are native to our area and grows well. They have a beautiful lace patterned leaf with these cute little heart shaped flowers. They are a great flower in the garden because they last so long. After the flower dies back these little seed pods form. They look like tiny little pea pods with black seeds in them. If I let them go they will reseed themselves but I also collect a few seeds each year too. 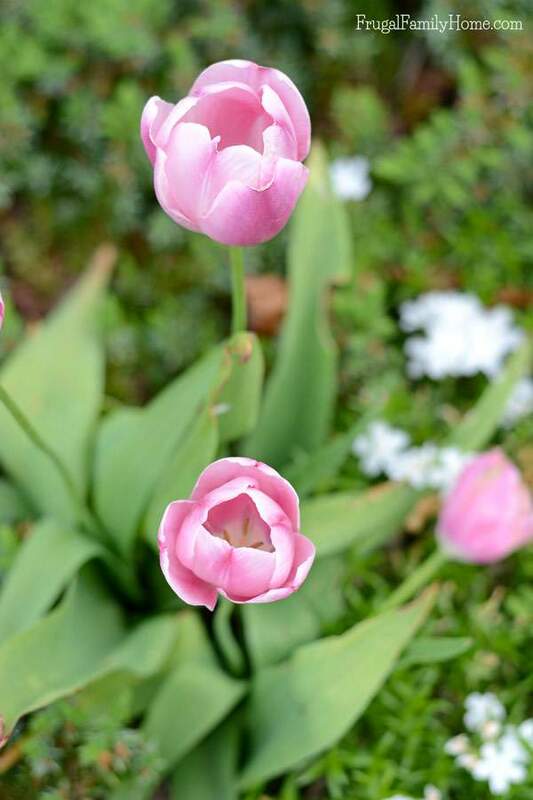 Tulips have also arrived in our garden although it won’t be long until they are gone again. I love tulips but I wish they would last longer. But maybe if they lasted a long time they wouldn’t be so special. We have this lovely pale pink variety and a beautiful yellow and orange one too. Unfortunately, the yellow ones didn’t last long enough for me to get a photo of them. When we purchased our home it came with an ample supply of rhododendrons. They were so overgrown they covered the second story windows. We didn’t realize we had a view of Mt. Hood until after we cut them back. After a few years and aggressive cutting, they actually looked pretty good. But they are not my favorite shrub to grow. To be honest, if they hadn’t been here when we purchased the home, they wouldn’t be in our garden. But since they are it’s nice to enjoy them. 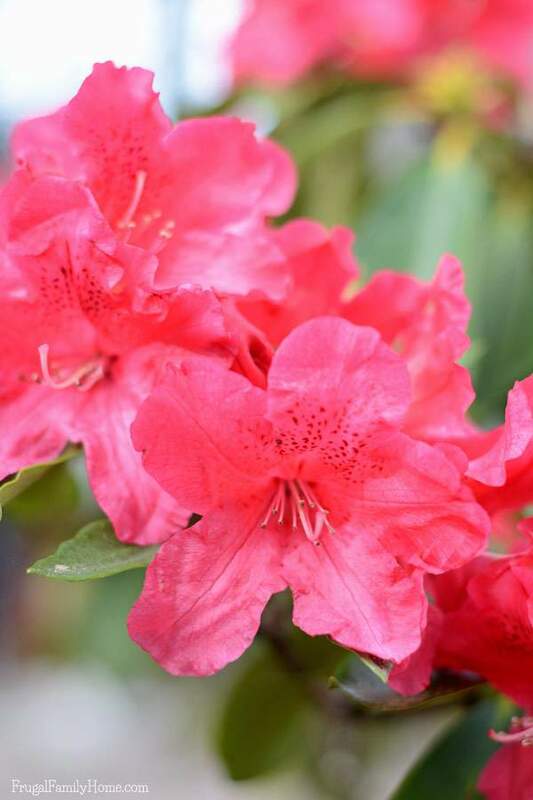 The rhododendrons have a nice evergreen leaf that stays on year round with beautiful flowers this time of year. Our red one just came into bloom and the purple and white ones won’t be far behind I’m sure. If you need a new ground cover to add to your garden, this ground cover plant is so very beautiful. Until I googled it I didn’t know what it was called. It was one of those plants we inherited from the previous owner. 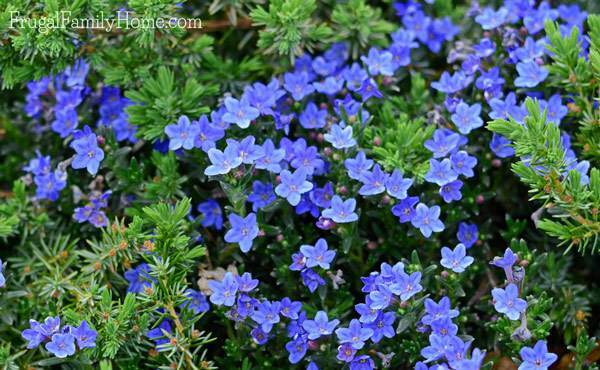 But after a search, I found it’s called Lithodora Heavenly Blue. It has the most intense blue color that I’ve ever seen in a flower. Our Lithodora grows intertwined in the juniper bush near our driveway and looks so stunning against the juniper this time of year. It’s like a sprinkling of little blue flowers in a sea of green juniper. The hummingbirds also love to come to the flowers to eat. We also have a few blooms in our vegetable and fruit garden. With the added heat our berries are starting to flower. It seems a little early to have the berries already flowering but the last two years we have had some pretty warm temperatures in the spring. 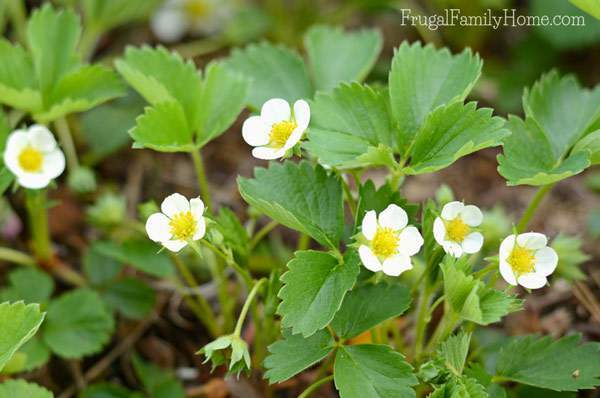 The strawberries have many blooms. Which I’m so happy about. I moved them back in January, during a cold dry spell, from under our maple tree to their very own raised bed. It wasn’t the best time to move them but it’s when I had time and the new raised bed was completed. They seemed to have taken the move well and are flowering heavily. I can’t wait to have our first home-grown strawberry this year. The homegrown strawberries are so much sweeter than the store bought ones. The chives always seem to be the first thing up in the garden each year and this year was no different. They are in full purple bloom and add such a nice touch of color to the garden. They help to attract bees to our garden and with the strawberries and the chives the bees have plenty of flowers to visit. 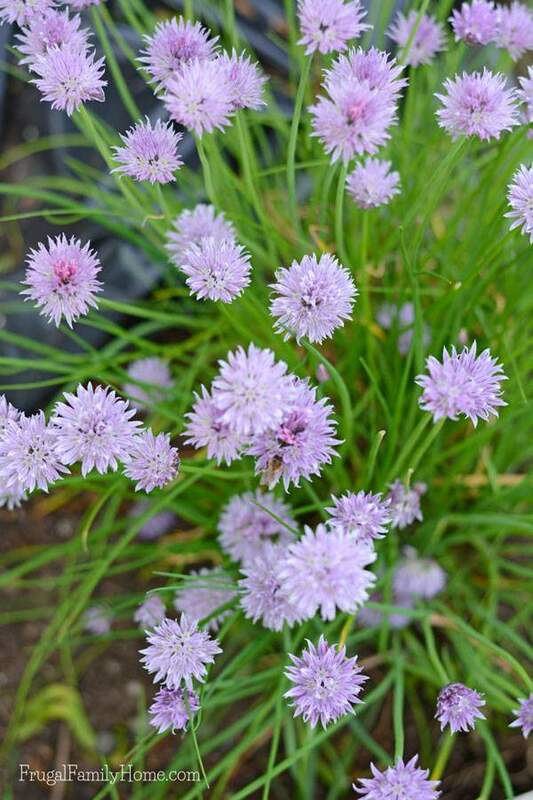 Did you know you can eat the chive flowers? I know when I was first told you could eat them I thought why would you want to they are so pretty but they are delicious. We pick the flowers and eat them on our salads. They add a nice garlic flavor and a pretty purple accent to the salad too. Our blueberries are also blooming. They have the most beautiful flowers. It seems this year all of our berries will be I bloom at the same time. I hope the berry harvest is a little staggered. I would like a little time to enjoy each berry separately. I also found one little blossom on our sugar snap peas. I was concerned that the peas wouldn’t fair well with the increase in the heat. They much prefer the cooler weather. 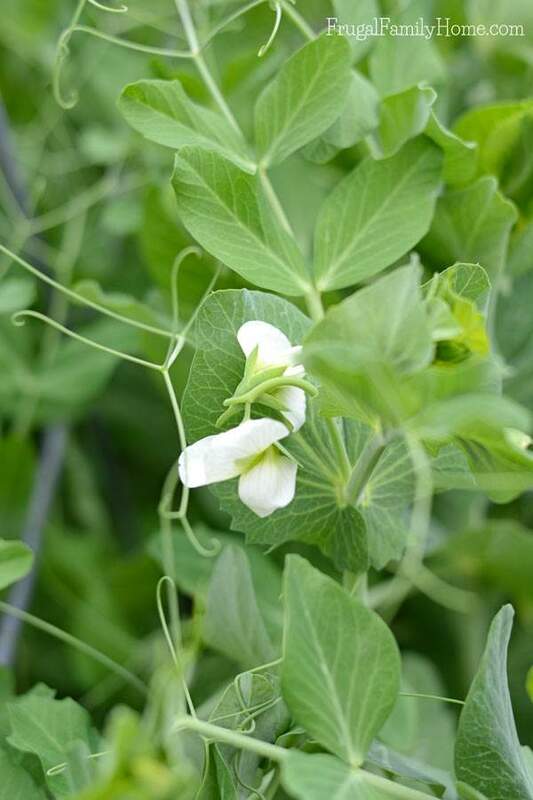 But they have continued to grow well and soon we should be enjoying fresh crisp sugar snap peas straight out of the garden. That’s a look at what’s blooming in our Pacific NW garden right now. 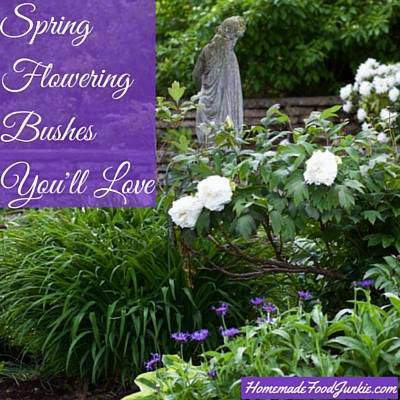 I would love to hear what’s blooming in your garden too. 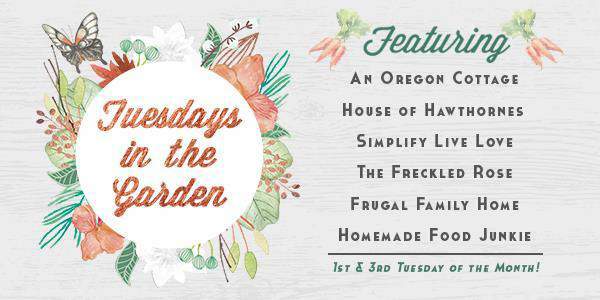 Plus be sure to check out the other Tuesdays in the Garden bloggers too. I know you’ll find some great information. I love how you separated the flowers into two groups, Shell – really makes you see the beauty of edible gardens. 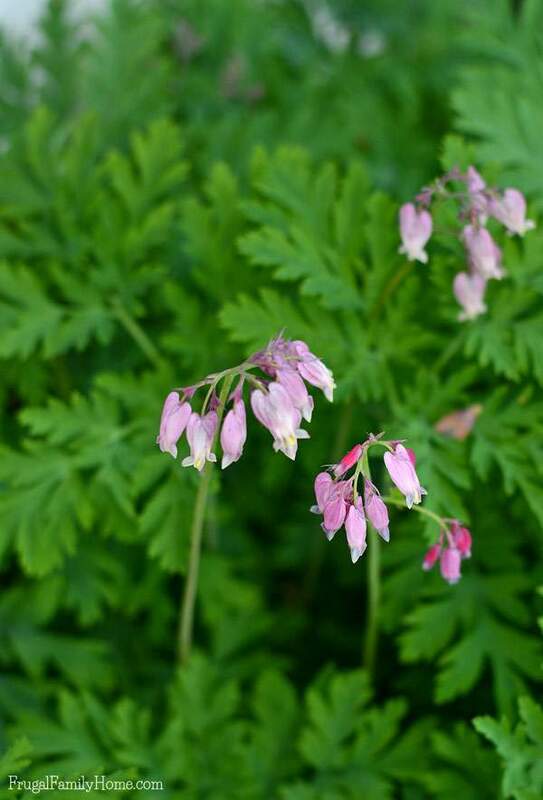 🙂 I love, love our bleeding hearts, too – I forgot to add them to my list, but I’d probably always have those, too, since I just find them to be such an amazing little bloom! 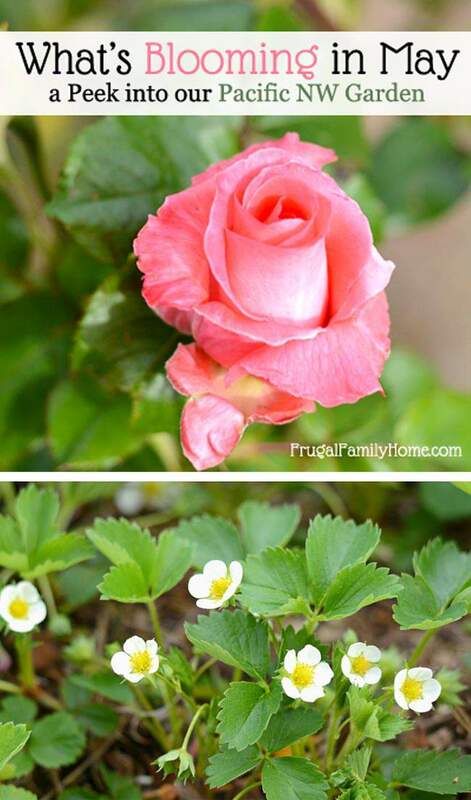 This post reminds me of the rose bush we had growing up. 🙂 Honestly, I don’t think my parents really tended to it like they probably should have, but, every year, it produced gorgeous roses that I remember fondly. Your garden is so neat, Shelly! 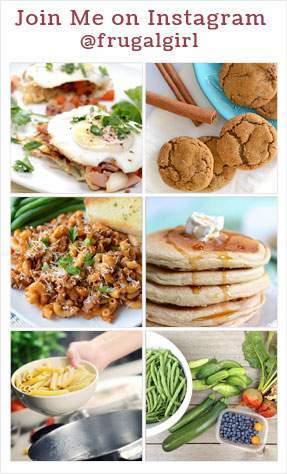 So many beautiful flowers and delicious, healthy foods to enjoy! Hi Shelly, we are also enjoying a very warm spring for the second year in a row! I love these warm springs, but we need more rain. It’s way too weird to be watering in May! I love your beautiful roses. That is one bush I just can’t grow well. I have one miniature rose that has struggled along for decades. All the others don’t get enough light on our property. The exception to that is our carpet rose. It’s a very tough bush! I completely forgot about our strawberries and tomatoes. Both are flowering and setting on fruit! I too love spring gardening. Everything is so pretty and fresh! Your garden is looking very lovely! 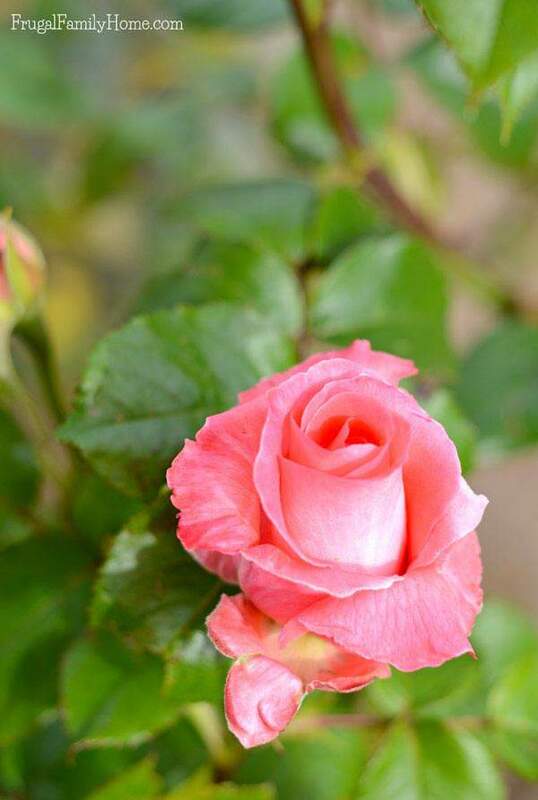 The roses are just beautiful…that pink is so pretty. I have a mini rose bush that has grown quite tall, and it seems like some tiny little bugs are eating at the leaves…I’m not sure what to do about it, since I don’t have much knowledge of gardening. Any suggestions? We’ve had some funny weather this spring too. It has been unseasonably cold lately, but we did experience a few hot days, then got two nights of frost, which killed most of the leaves that were starting to pop out on my hydrangeas. I hope that they can recover. Erin, the bugs you have on the roses might be aphids. What I’ve found to work really well is 2 teaspoons of liquid soap (I use Dr. Bronner’s, sometimes you can find sample bottles at the store in the travel section) in a spray bottle of water. Spray, where you see the bugs and then let it, dry. Repeat if the bugs are still present. I hope that helps. 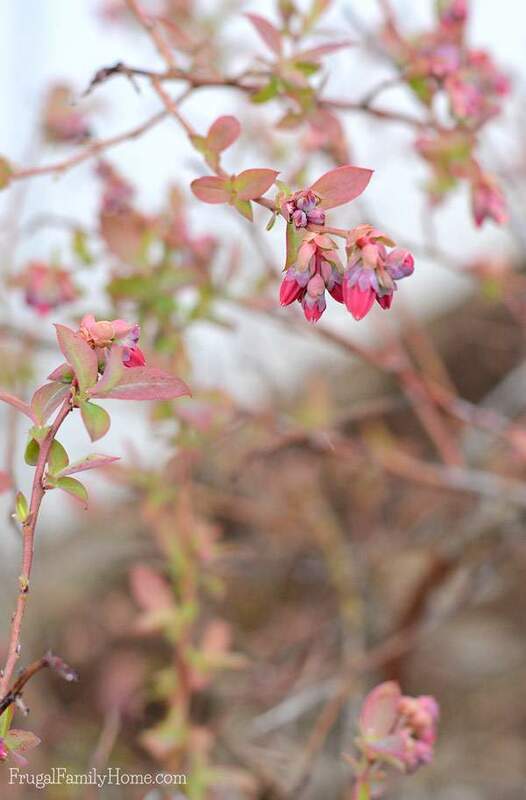 Angie, my husband picked out the blueberry plants a few years ago and he thinks they are pink lemonade blueberries. They have those pretty pink flower buds. Then in the fall, the leaves turn yellow and orange and keep their leaves deep into winter. We get about 3 seasons of beauty from these plants. Plus the berries are really sweet too. 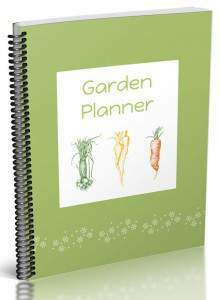 Get your garden off to a great start with the garden planner. Click Here for more information!